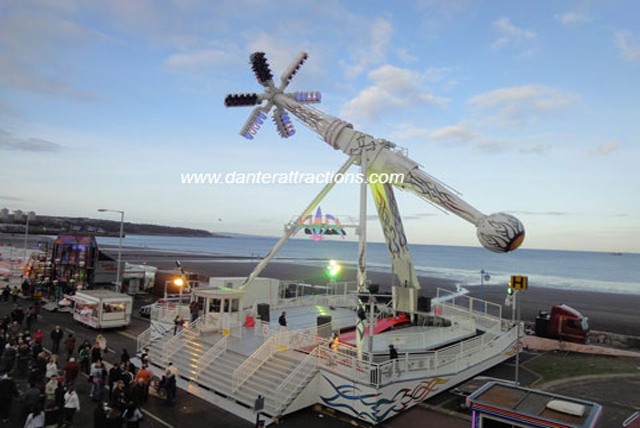 Air is the latest thrill ride to hit the UK, and made its premiere at Kirkcaldy Links Market in Scotland. Air is one of only three such rides in the world. 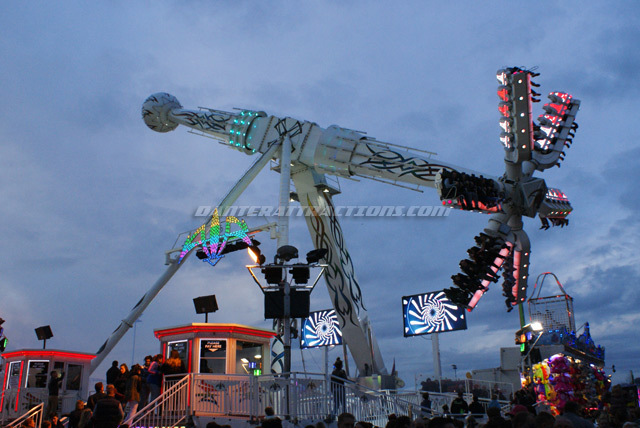 The ride was built by Zierer in southern Germany – a world leader in the manufacture of amusement rides. Air took two years to design and 12 months to build. After three weeks of testing Air was packed onto four specially designed trailers and transported over 1200 miles across five countries to Kirkcaldy in Scotland where it made it's UK debut..
Air features an original white design in contrast to the darker colour schemes of common on many other modern rides. 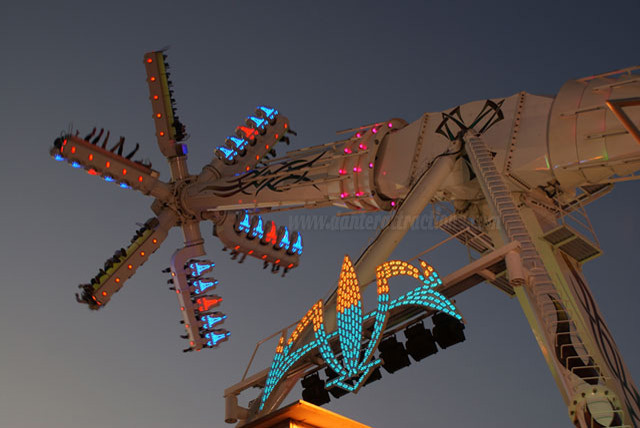 By night Air will dazzle spectators with the latest in LED lighting technology with colour changing effects that have never been seen on a fairground ride before. The main front sign features letters six feet high along with fog machines and strobe lights adding to the visual spectacle. While the spectacular lighting will leave spectators stunned for those brave enough to ride Air will be in for an experience they have never felt before!. Air will swing, spin and loop 30 riders 100 feet through the air. 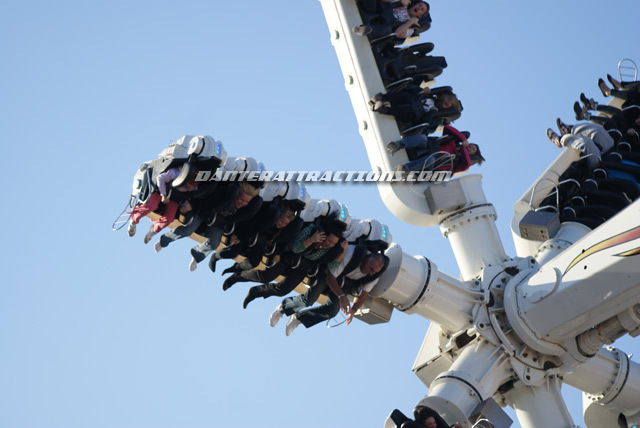 With the seats looping uncontrolled at random, no two rides will ever be the same! 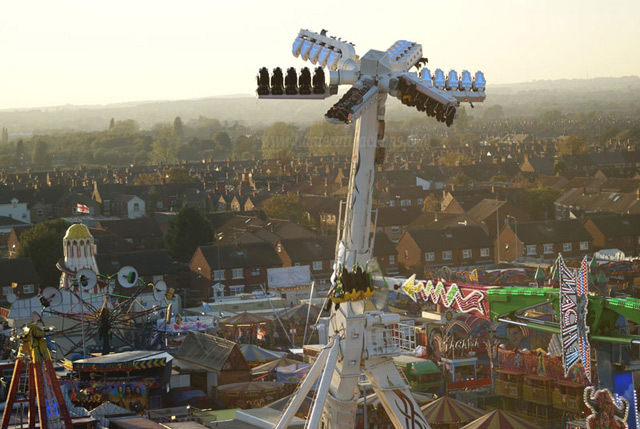 Air also features a state of the art computer system which has seven different ride sequences to tailor the experience to its target audience. 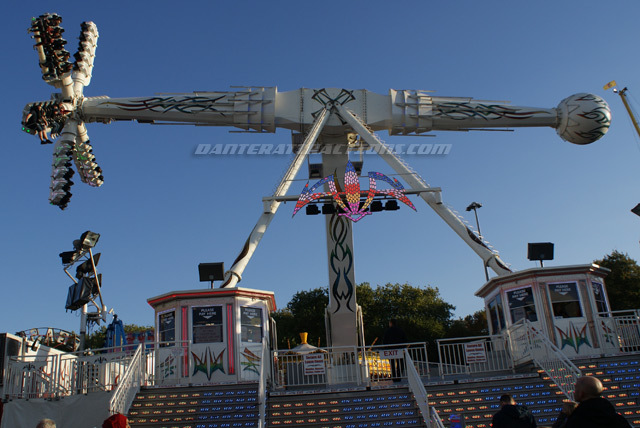 More importantly the computer monitors the ride for maximum safety not only ensuring the safety restrains are locked but also monitors the weather conditions and wind speed to ensure safe operation of the ride..